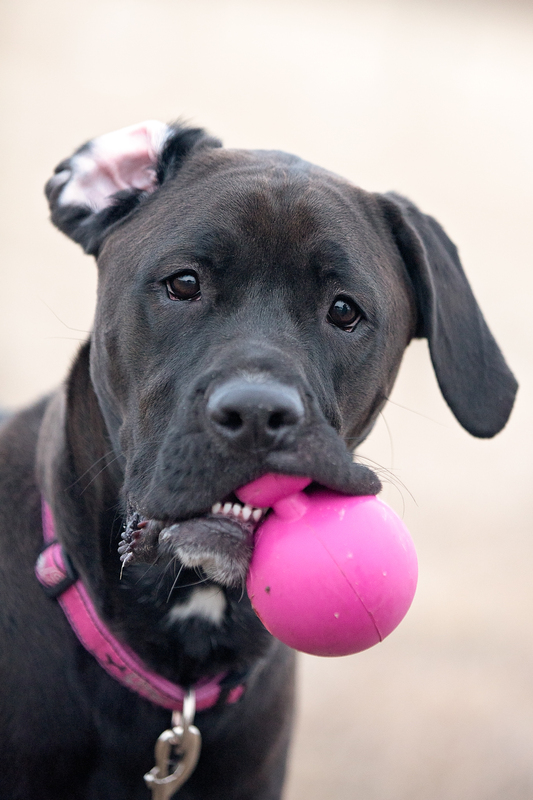 Harper is a 1 year old Boxer/Lab cross who is a super happy girl. She instantly comes to life when you bring out a toy and will happily play with anyone. She has been to doggy daycare and loves to play with other dogs, she good with kids (although she is a little unsure of them initially as she hasn’t been around a lot of them) and she’s been around a few cats just recently and generally just ignores them. Harper ended up in rescue because her family just didn’t have the time she needed. Harper is an active dog who will need exercise every day to stay happy and healthy. She is a great traveller and makes a great buddy for long car rides. She is a quiet dog who only barks some times when playing. She’s taken two sets of obedience classes so she already knows all the basics. Harper is a fantastic dog that would be a great companion for an active person, couple or family. You can see more images of Harper on her “page”.